The final chapter of the Maniac Cop trilogy is a disappointing finale that fails to live up to the standards of the prior two films, but does sort of make up for it with the last reel and the simply crazy stunts. 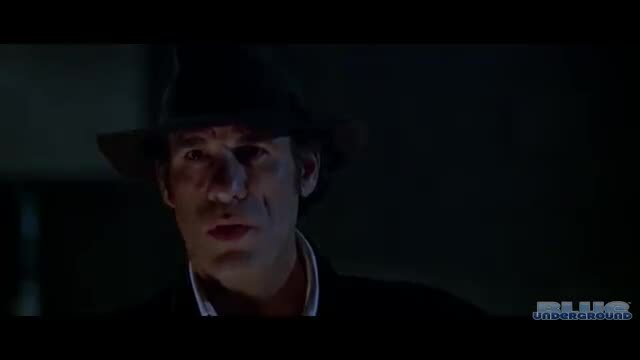 While Maniac Cop 2 was Frankenstein meets The French Connection, Maniac Cop 3: Badge of Silence is Bride of Frankenstein meets The French Connection! Maniac Cop 3: Badge of Silence had a lot of problems getting made. The original script from Larry Cohen focused on Santería rituals and had a black detective lead character. Funding for the film require presale rights money from Japanese distributors, who were very happy with the prior two entries and were mysteriously dragging their feet on this installment, but wouldn’t give the exact reason. When the suggest was made to bring back white actor Robert Davi, suddenly the Japanese distributor was on board for funding. So…yeah. That meant the script had to be heavily rewritten to switch out the character, thus changing some supporting characters. They started shooting with only 70 pages of script (which is ~70 minutes of film, but probably less), not enough for a full feature. The producers were frantically trying to add pages as production went on, and an increasingly distracted and annoyed William Lustig (who was also working on a different film as producer at the same time) was losing interest in Maniac Cop 3. This eventually lead to him leaving production and Joel Soisson stepping in to film the scenes needed to pad out the running time. Which means the Frankenstein theme extends to the film itself! The padding is obvious in a few cases, scenes seem to go nowhere or go on far longer than they should, and a few others are repetitive and just repeat the same information or give us extra evidence certain people are jerks. It becomes a distracting mess, and Maniac Cop spends most of his time hanging around a hospital killing whoever stands in the way of saving his promised bride, another cop who was shot in the line of duty. She’s supposed to be resurrected as his bride, but he keeps characters from pulling the plug on her, which is sort of weird. Maybe the Santería priest who brought Maniac Cop back from the dead needed some time to recharge? I saw Maniac Cop 3 at the Yerba Buena Center for the Arts in their Bay Area Now 7 program, under the Invasion of the Cinemaniacs! heading, specifically the part curated by Jesse Hawthorne Ficks of Midnite for Maniacs, who hosted two William Lustig triple features (a sextuple feature?) spread across two days. All three Maniac Cop films screened on Saturday night, while Friday featured Maniac, Vigilante, and Hit List. William Lustig returned for the second night of screenings and gave some more entertaining Q and As, some of which is peppered into the Maniac Cop reviews. 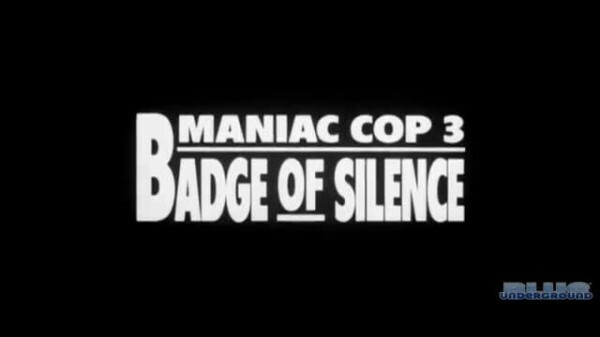 Maniac Cop 3: Badge of Silence again takes place soon after the prior entry. The dirt is barely shoveled into Matt Cordell grave before he’s raised again by a Santería priest, who needs the Maniac Cop for “dark days” ahead. What exactly those dark days are, we will never know, because nothing like that happens.